Can the Devils Turn Water into Wine? Being at the Devils game the other night at the Prudential Center in Newark was an eye-opening experience as I watched my childhood team lose their 18th consecutive shootout to the hands of the Dallas Stars. Once Dallas woke up from whatever funk they were in halfway through the first period when they were trailing by a goal and seven shots, they completely took over the game from that point forward. 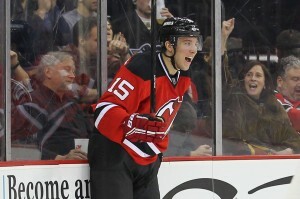 They outshot the Devils 34-17 the rest of the game and if not for a controversial goal by Devils forward Damian Brunner, they probably would have cruised to a 2-1 victory instead of having to go to a shootout. “We’re cobbling some points together here, but when we play three in a row at home, we expect to at least win one of them,” said goaltender Cory Schneider after the game in which he played probably his best overall game of the season. Schneider made a couple of highlight-reel saves throughout which gave his team a chance to win. Thanks to Jaromir Jagr, the Devils were able to escape Ottawa with a 3-2 OT win last night which surly lessened the sting of losing to Dallas. However the key fact we all need to remember here is that Ottawa is no Dallas is terms of pure team skill and superstars. If the Devils are barely able to take out Ottawa then they are going to have problems once they really start meeting up with the NHL’s elite. It was clear in the Dallas game that the Devils weren’t only outplayed, they were just flat-out dominated, especially by the line of Jason Spezza, Jamie Benn, and Tyler Seguin. Now it can be argued that the line is lighting up everyone at the moment; but what that line resembled is what this team needs again so badly in every way possible. We all know that Jaromir Jagr and/or Mike Cammalleri are the studs of this team which is OK, however I can name off the top of my head at least 20 other combinations of players I’d rather have as my top-guns. Now I’m not gonna bring up ‘you know who’ and his best buddy in Russia, as I’d rather focus on why the Devils can’t get that golden player they’re looking for. Simply put it this way, if you were Lou Lamoriello, and completely hypothetically, Jamie Benn was on Dallas’s trade block, what do you think it would take to get the superstar? Well if you’re wondering it’s definitely not going to be a combination of Michael Ryder (ex-star), Ryan Clowe, Damian Brunner, Bryce Salvador, the list goes on. Or even take it from the Stars perspective; why would they want to trade away a player like Jamie Benn who is their best player and captain for frankly a bunch of average players. Now I’m using Benn as an example but this goes for almost any team with a player of his caliber. That’s probably the best question right? Now let’s all not forget that it’s very early in the season so there’s no reason so Lou to go and do anything hasty. However let’s take a realistic look at who the Devils may be willing to move while also assuming that Patrik Elias, Mike Cammalleri, and Cory Schneider are untouchable for obvious reasons. So who does that leave? Well Adam Henrique is one in which I would hate to see go, but in sports you gotta give up value to get value. 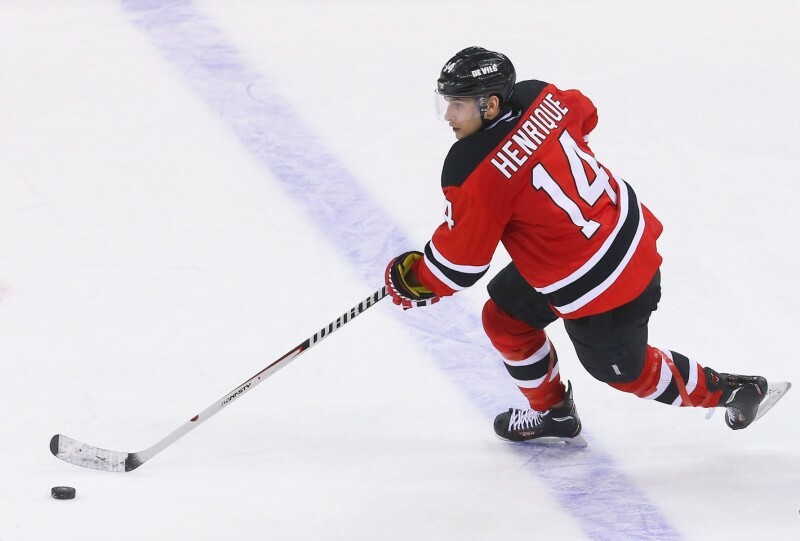 Let’s face it, Henrique is probably the Devils most consistent, and well-liked, forward they have which makes him a very valuable piece they could move. If the Devils were going to trade for a superstar player, then Henrique would be the main cog in a package going the other way . Another piece is good old Adam Larsson who’s probably already on his way out of New Jersey with the way the organization has treated him up to this point in his career. Larsson is still only 21 years old and there’s a chance he could still make an impact on this team if the Devils give him an opportunity to play in five-six games in a row. The problem is with how well Jon Merrill and Damon Severson are playing, the only chance Larsson has is if Eric Gelinas falters again. It’s safe to say though that I was able to see first-hand how Gelinas responded from being benched as he pounded a rocket past Kari Lehtonen in the first period. Also because 1st round picks are a staple when it comes to trading for a superstar player, a potential offer would be Adam Henrique, Adam Larsson, and a 1st round pick for Jamie Benn. Now That’s just a hypothetical, but even if Lou offered that deal to Jim Nill, I honestly doubt he would take it. When it comes down to it, the best way to get a player of that caliber is through the NHL Entry Draft. 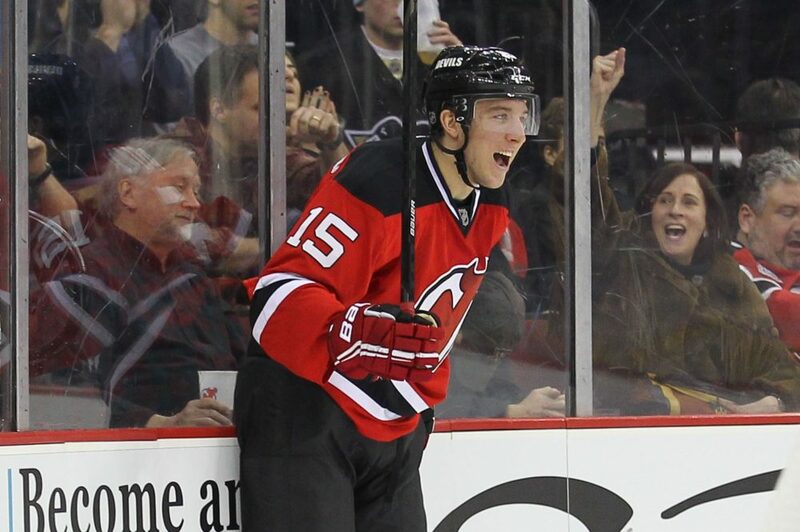 A majority of the players the Devils would even consider going after are for the most part all home-grown talent. The Devils can definitely say they have a bunch of solid defensive prospects but their forward pool is probably one of the worst in the league. Reid Boucher and Stephan Matteau are nice pieces who can possibly grow into decent players. However for the Devils it starts from here on out; they have had a few ‘busts’ at the forward position recently with Mattias Tedenby (not with team anymore) and fellow Swede Jacob Josefson barely fitting in on the 4th line. The Devils need to hope that a new start to the forward prospects begin with 2014 1st round pick John Quenneville and then possibly get a few diamonds later in future drafts. Remember that Jamie Benn was a 5th round pick back in the 2007 Draft. The Devils may be 4-2-2 to open the season which is considerably better than the way they started last year, however I don’t expect that to continue once they begin facing off against the better teams in the league. We’re entering dark times folks, so unless the Devils can turn water into wine in the near future, then I hope you’re in for the long-haul.